The trade deadline is tomorrow, and we’re going to try to squeeze out a couple more of these trade deadline target pieces. 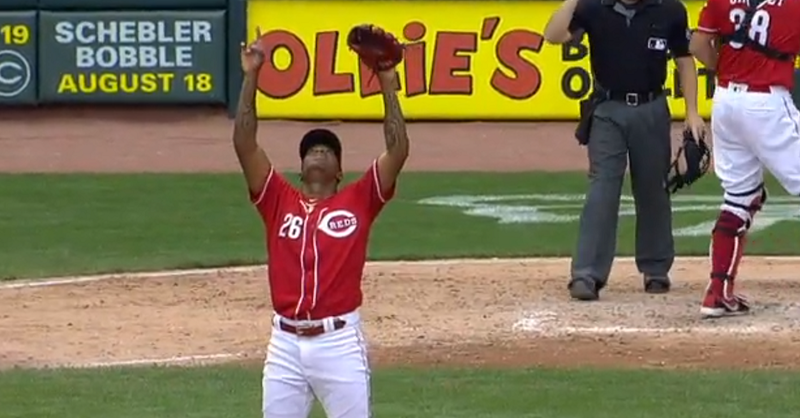 This one is on Reds’ right-handed pitcher Raisel Iglesias. The Reds signed Iglesias out of Cuba in 2014 to a 7-year, $27 million deal. The Reds tried him as a starter in 2015, but not-bad 95 1/3 innings (4.15 ERA, 3.55 FIP, 1.6 fWAR), they moved him to the bullpen. Since then, he has been a Top 20-30 reliever in baseball. This season, though, he’s been merely good not great. He has a shiny 2.11 ERA, but his near-4 FIP (3.76) is a bit concerning. Also concerning is his decreased strikeout rate (from 30.1 percent last season to 26.5 percent) and his average fastball velocity is down about 1 MPH from last season. 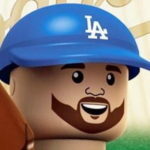 He has also been bitten by the home run ball this season, as he has allowed six homers in 47 innings pitched. He allowed five in 76 innings last season. There are some encouraging numbers to look at with Iglesias. He’s running career-bests in O-Swing% (34.6), Contact% (69.4) and SwStr% (14.9), which you think would lead to more strikeouts, but it hasn’t. He’s getting fewer whiffs on his slider in part because he’s throwing it less than last year. With that has come an increase in changeup usage and whiff rate on the pitch. In fact, he has a .166 wOBA on his changeup this season — 4th-best in baseball among ranked relievers, so maybe he should be throwing it more. His slider has a .169 wOBA against (24th-best among ranked relievers). It’s actually his fastball that has been getting clobbered this season. He has a .418 wOBA in plate appearances that end in a fastball — 37th-worst among 202 ranked relievers. The Dodgers fixed Tony Cingrani last year by having him throw his slider more. Perhaps Iglesias should shy away from his fastball (50.9 percent usage) in favor of his slider and changeup (you know, should he be acquired). Another attractive part about Iglesias is the fact he’s under contract through the 2020 season at an affordable rate. He’s due the remainder of his $4.5 million salary this season, and $5 million in each of the following seasons. The Dodgers are roughly $5 million away from the $197 million luxury tax threshold. That doesn’t include incentives Kenta Maeda should hit before the end of the season, so the Dodgers might have to find a way to shed some salary — either going the other way to Cincinnati or to another team — to comfortably fit Iglesias into the payroll. The Dodgers have matched up on a couple of trades over the last few years. The first being the 3-team deal that sent Micah Johnson, Frankie Montas and Trayce Thompson to the Dodgers, Todd Frazier to the White Sox and Brandon Dixon, Jose Peraza and Scott Schebler. That prospect trio would have gone to the Reds for Aroldis Chapman before the Dodgers (rightly) nixed the deal. In April, the Dodgers sent Ibandel Isabel and Zach Neal to Cincy for right-hander Ariel Hernandez. And just 26 days ago, the Dodgers sent James Marinan and Aneurys Zabala to the Reds for Dylan Floro, Neal and international pool money. So, the front offices are no strangers to making deals. Iglesias isn’t an elite reliever. He’s not Brad Hand. He’s basically a younger version of Joakim Soria, who was traded to the Brewers last week for left-handed pitching prospect Kodi Medeiros and right-handed pitching prospect Wilber Perez. Iglesias will command a larger return because of his contract and age. The Reds get a high-ceiling arm in Alvarez and a solid outfield prospect in Raley. Alvarez could make the majors as a reliever, but there’s still value in him trying to figure things out as a starting pitcher. Raley is proving himself pretty well in Double-A and could be a in the majors by the end of next season. Peters would be the big prize here. He’s the hitting equivalent of Alvarez (in this scenario) as he has a high ceiling but a lot of question marks. Sborz should be a fungible reliever who could step into Cincinnati’s bullpen should they trade Iglesias and the likes of Jared Hughes and/or David Hernandez. I’m not overly impressed with Iglesias, but he could thrive in a setup role ahead of Kenley Jansen and he’s hell on right-handed hitters (.139 batting average against, .215 wOBA) while being decent against lefties. If he makes a few tweaks to his pitch usage, perhaps he could see his numbers against lefties improve. And here’s some speculation of my own: Iglesais wasn’t bad as a starter in his rookie year. He did have some shoulder fatigue, and after that he was strictly a reliever and has been since his last start on April 25, 2016. This would be more of something for future seasons, but if the Dodgers think Iglesias could make it as a starter, perhaps acquiring him for this season to be a reliever would make some sense.